We offer classes for youth of all ages along with many other outreach ministries to help you and your family grow in faith. Recognized as a vital part of the body at Spirit of Life, children are actively involved with spirit-filled worship, prayer, and the movement of God. Training up the next generation to receive Jesus and make Him King, we teach the Word while encouraging Children to love the Lord with all their hearts, love each other selflessly, and walk in the gifts of the Holy Spirit. We are training world changers. We offer child care for newborns through 36 months, Sunday classes for children age 3-10, and Wednesday evening classes for children age 3 and up. 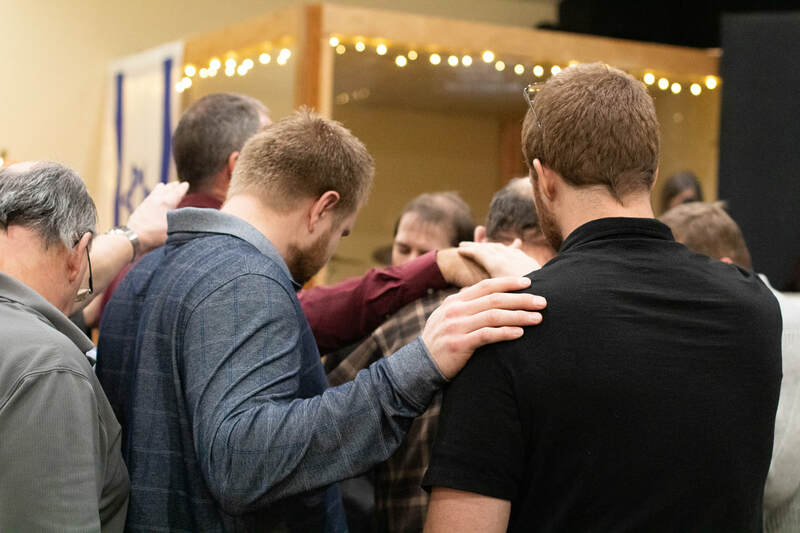 Men of Iron is Spirit of Life Ministries Men's group, Proverbs 27:17 says "As iron sharpens iron, so a man sharpens the countenance of his friend." We purpose to build one another through the Word of God, genuine Christ centered love and encouragement to one another. Another aspect of Men of Iron is to walk out James 1:27 which exhorts us to "Visit the fatherless and widows in their affliction and to keep oneself unspotted from the world." We meet the first Saturday of every month at 9:00 a.m. in the church fellowship hall and would love to have you join us. 24/7 is our teen outreach at Spirit of Life. It is our goal to train youth to live unashamed and victorious for our Lord Jesus Christ! We want to prepare them with the Word of God as their guide in truth. We are raising up a generation of believers who stand on their own and know who they are in Christ. It is a focus that our youth would have a personal relationship with Jesus Christ. In our study of the Word of God we are developing Christlike character and fruit of the Spirit in those who come. 24/7 meets every Wednesday at 7pm first for worship and then for bible study and prayer. All teens are welcome! "Therefore I remind you to stir up the gift of God which is in you through the laying on of my hands. For God has not given us a spirit of fear, but of power and of love and of a sound mind." Beautiful Mercy is our monthly time of refreshing fellowship for all women. Our focus is on learning to walk unified in our unique talents and callings as strong women of God who support one another. We choose to celebrate the beauty in who God has created each of us to be as we encourage each other through the Word and our individual testimonies. It is a beautiful gathering of worship, prayer, and the Word. All are welcomed! ​1 Peter 3:4 "You should clothe yourselves instead with the beauty that comes from within, the unfading beauty of a gentle and quiet spirit, which is so precious to God."